Welcome to our annual list of the best hearing aid amplifiers for 2019. A hearing aid amplifier is a valuable investment for anyone with mild to moderate hearing loss. 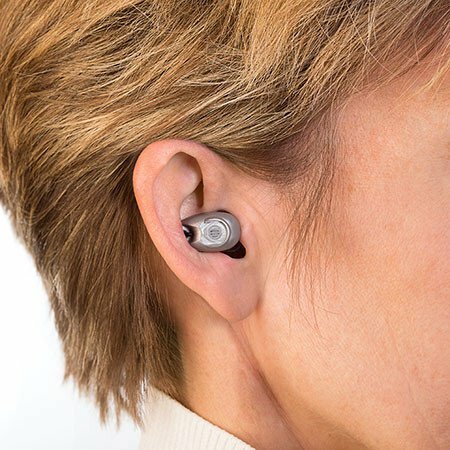 Having a hearing aid amplifier, also known as a personal sound amplification product (PSAP), is a technologically comparable, but less expensive over the counter alternative to traditionally prescribed hearing aids. But how do you know which one is best? Choosing a hearing aid amplifier is time consuming. That’s why so many people come to Senior Safety Reviews looking for advice and information on the best hearing aid amplifiers on the market today. We’re here to help you cut through the clutter and narrow down your list, to save you time looking for reliable information and focusing on what's most important. We believe the hearing amplifiers on our list offer the highest overall value to our readers. 4. Instead of paying $2,000 to $4,000 an ear, you'll only pay $250 to $350! 5. Free trial period. Every system we list has a 100% money back guarantee. Don't like it, simply return it in the 30-45 day window. 1. The hearing devices works as promised (or better). Most hearing amplifiers on the market today are “OK.” We think our readers deserve better than “OK.” To make this list, hearing amplification devices have to perform to a high standard. *Beware of cheaper models, between $25-$50. Testing has shown cheaper models with poor technology can actually make it more difficult to hear than not wearing a device at all. 2. Reasonable cost. Most quality hearing amplifiers today run in the $250 – $350 range for a pair. All the systems on our list fit that price bracket. There are cheaper devices in the $30-$50 range, but our research shows a significant degradation in quality at that price. Regardless, it's far cheaper than the $4,700 average for 2 prescription hearing aids. 4. Free trial periods. If you’ve been coming to Senior Safety Reviews for a while, you know we don't like when our readers get tricked into non-refundable or long term contracts. All the companies that made our list, offer easy and generous return and refund policies so you can see if the hearing aid amplifier is comfortable, easy to use and works inside, outside or in a restaurant - before you're committed. Sound World Solutions CS50+ is our top rated personal hearing aid amplifier. Independent research published in the Journal of the American Medical Association (JAMA) and in Consumer Reports, showed that, for those with mild to moderate hearing loss, it's performance was almost identical to that of a traditional hearing aid you'd get from an audiologist. It was the ONLY hearing amplifier to perform as well as a hearing aid in tests. The big difference between the devices is in the price. An Oticon hearing aid costs $2,250, a Sound World Solutions CS50+ amplifier costs $349. For similar performance, the price savings are striking. Sound World offers a generous 45 day money back guarantee, 90 day warranty and free shipping. We also like that it comes with a rechargeable battery, so you don't have to worry about replacing expensive hearing aid batteries. Why We Chose Them: What we love most about the Sound World Solutions CS50+, is it's performance. In separate testing published by the American Medical Association and conducted by Consumer Reports, the Sound World Solutions hearing amplifier was virtually indistinguishable from a traditional hearing aid prescribed by an audiologist for those with mild to moderate hearing loss, but you save nearly $1,900 per ear! Love the rechargeable batteries. In fact, the Sound World Solutions CS50+ was chosen by John's Hopkins and the Mayo Clinic to help support their efforts to provide hearing solutions to a broader population of hearing impaired individuals. We also love that the Sound World allows you to customize your listening settings through your smart phone. The everyday setting will be customized based on the personalization process you'll be walked through on your smart phone. You'll be able to adjust for treble, mid, and bass frequencies for a truly customized experience. Where They Can Improve: The only real drawback we see for the Sound World Solutions CS50+ is that the ear piece is not hidden. It's designed to look like a blue tooth device. In a world where everyone is wearing ear buds and head phones, it's no longer a big deal, plus they're easy to find! "My mom is hearing conversations and television even better than with her previous aids, which cost thousands of dollars more. We are no longer rushing out to buy batteries or looking under the sofa for lost aids." The Bean was developed by Etymotic Research, based on the groundbreaking circuitry design of Mead Killion, mearly 30 years ago. Etymotic Research is a well known hearing wellness company founded in 1983 famous for their earplugs and earphones, used by musicians and the general public worldwide. The Bean does a good job enhancing "soft" sounds, like voices, while filtering out the louder sounds like clanging cutlery, into the ear naturally. It performed at 70% of the level of the Sound World Solutions CS50+ device, which is still good, but not as good. It also does not use a rechargeable battery, which may be a drawback for some. Why We Chose Them: What we like most about the Etymotic Bean Quiet Sound Amplifier, is its discreet design. It fits in your ear, without a behind the ear piece. The only drawback is that because it's not custom fit into your ear, it can loosen up a bit during activities like eating or exercising. The Etymotic Bean also does a pretty good job replicating the quality of a hearing aid device, but only at 70% of the level of the Sound World Solutions CS50+. Where They Can Improve: The big drawbacks with the Bean are that it is not blue tooth enabled, does not have directional microphones (helps avoid background noise in places like restaurants), nor can you control settings from your smart phone. 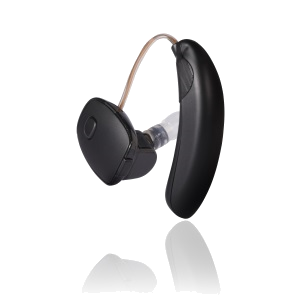 The Otofonix Elite offers digital processing hearing technology, and does a good job reducing background noise and avoiding feedback, while maintaining quality. Even though it has an over the ear design, it's still very small and discreet. It's a direct alternative to the Empower Boost. 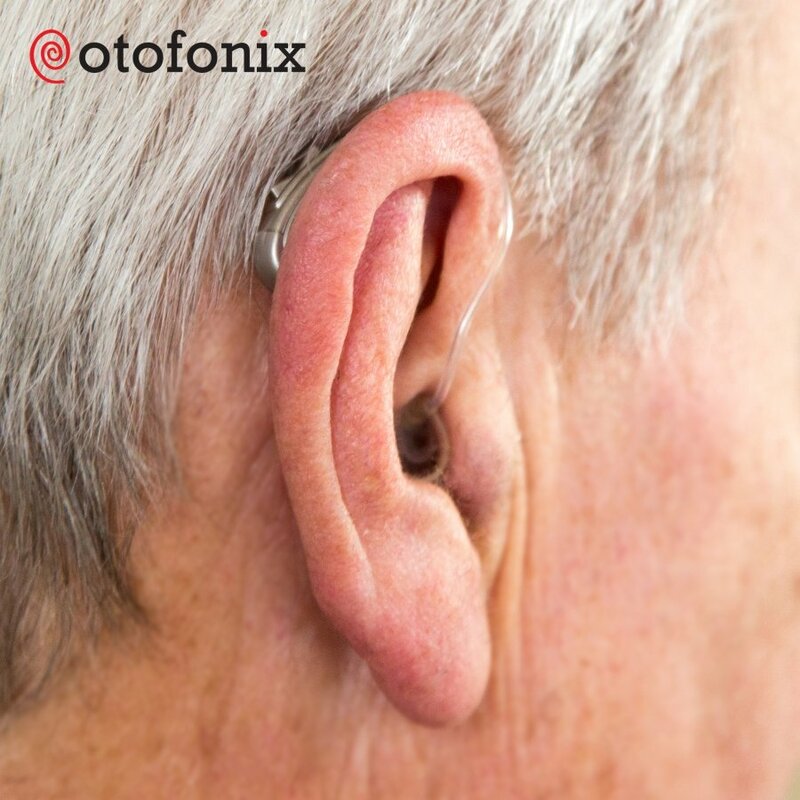 Why We Chose Them: What we like most about the Otofonix Elite is that it's a high performing digital amplifier, with all the bell and whistles, but comes with a small tube and small amplifier behind the ear, making it comfortable to wear and very discreet - it's super small. We also like that you get free unlimited phone support with Otofonix. So if you ever have problems, whether it be with adjusting volumes, selecting modes or whatnot, Otofonix offers free support. Combined with a 1 year warranty, we like the way they stand behind their product. Where They Can Improve: One of the few drawbacks of the Otofonix Elite, is that because it's so small, it could be hard for those with less nimble fingers, dexterity issues, arthritis or vision challenges, to change the batteries out. We hope this list makes it easier to choose the right hearing aid amplifier for you. Have you, or someone you know used any of the devices on our list? Have we missed any devices you think should be on the list? Let us know in the comments below. We'd love to hear from you!